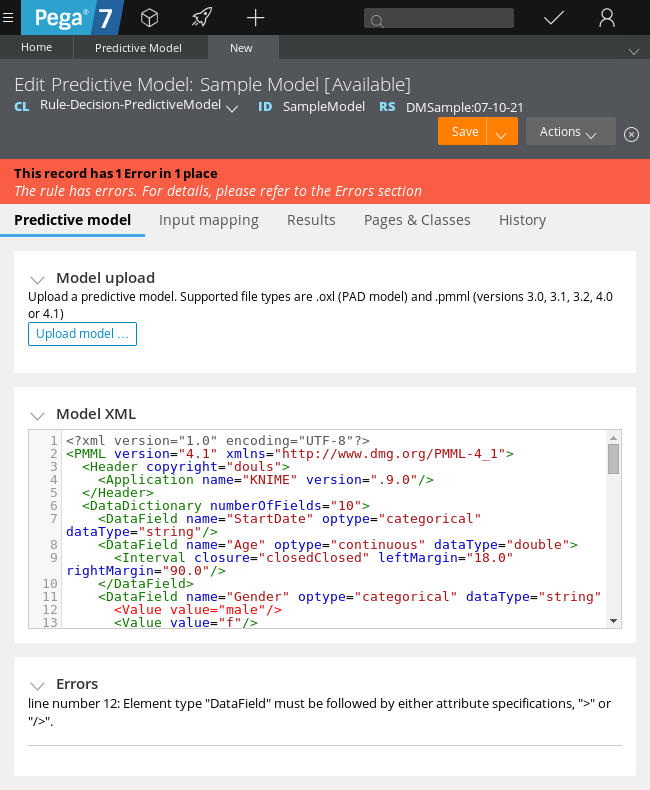 The Predictive Model rule form provides the XML schema preview for the uploaded PMML models. When the model contains errors, error messages are displayed in the Errors section at the bottom of the rule. 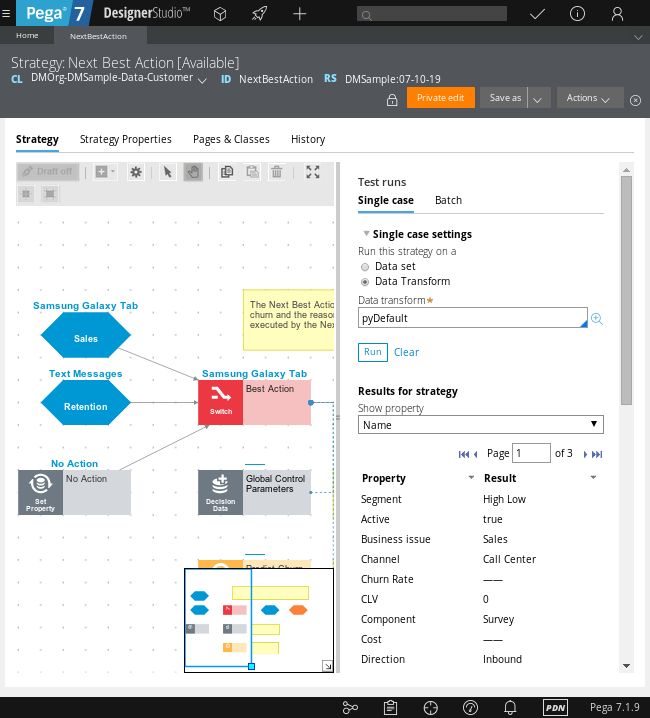 The Strategy tab of the Strategy rule form contains a new Test runs panel from which you test strategies for single and multiple customers and run simulations. You can modify your strategies and test them to make sure that they work as intended. You can run simulations to see how users respond to changes in strategies. Also, when you run a simulation for multiple customers, you can identify the most popular propositions offered to the customers, check the overall strategy performance, and examine the performance of the individual components. Data flows can use report definitions as primary and secondary sources. Additionally, such data flows can be distributed on multiple nodes. When using a database table data set as the destination of the data flow, you need to select one of the save options for the data set (insert records or insert and update records).